Watching toddlers pinch, hit and bite each other doesn't fill you with confidence about human nature. But there's no need to be down about it – the little devils don't yet have the self-control to manage their anger and frustration, that's all. Right? Not according to a new study published in Developmental Science, which is the first to systematically investigate the use of force in infants from age 11 months and up. Audun Dahl at the University of California, Santa Cruz, finds that in fact most of the time, the use of aggression* by toddlers is unprovoked. Dahl interviewed 74 middle-class mothers with infants who were aged on average 16 months (range 11 to 24 months; 33 female). He asked these mums to describe a recent time when their child harmed someone else. Analysing the mothers' stories, he found that in 76 per cent of the situations, the act of aggression was unprovoked and the aggressive infant did not show any signs of visible distress. This chimes with past research in which mothers reported their toddlers mostly showed signs of pleasure when they caused upset to other people. Meanwhile, 26 per cent of the aggressive acts were provoked, for example to regain a toy from a sibling (and usually accompanied by distress), and 3 per cent were accidental. Overall, the stats argue against the idea that babies and toddlers mostly hit, scratch and bite as a way to vent their anger or frustration because they haven't yet developed enough self-control. To get more evidence, Dahl filmed 26 more infants (11 female) in their own homes for 2.5 hours each visit, always in the company of the child's mother and a sibling. When he first visited each child, they were 14-months-old, then he returned when they were 19-months and 24-months-old. Analysing the videos for acts of aggression, he found that 49 per cent of the time the use of force was unprovoked, 43 per cent of the time it was provoked, and 8 per cent of incidences were accidental. 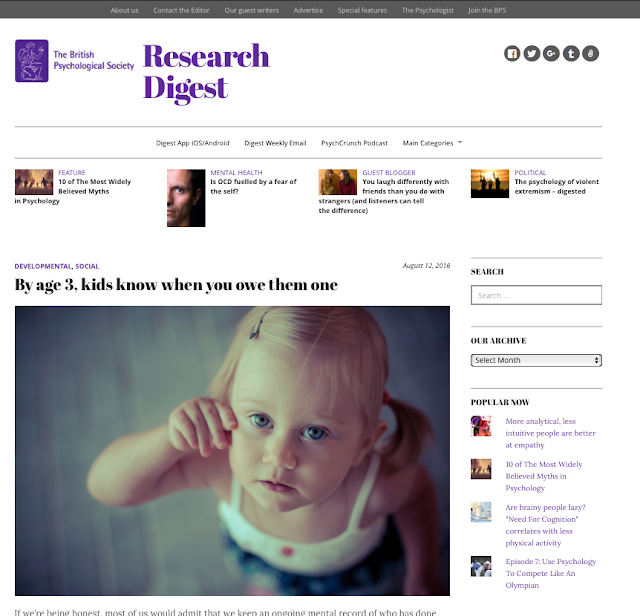 Parents were the most frequent targets of aggression, followed by siblings and pets. Zooming in on the acts of unprovoked aggression, most of the time these appeared to be what Dahl calls "explorative force", for example to get attention, and there was rarely evidence that the aggressive infant was distressed. Less often, these unprovoked attacks were actually "miscalibrated force" – for example hitting the dog over the head when the probable intent was to stroke him. More clues come from the infants' personality: the toddlers who scored higher on their tendency to show pleasure tended to be the ones who committed more acts of unprovoked aggression, again suggesting they were using force as a form of fun interaction, rather than in rage. Also, provoked and unprovoked aggression showed different developmental trajectories. Provoked use of force increased consistently over time whereas unprovoked use of force rose at first, peaked at around 18 months, then decreased when the children were aged two. 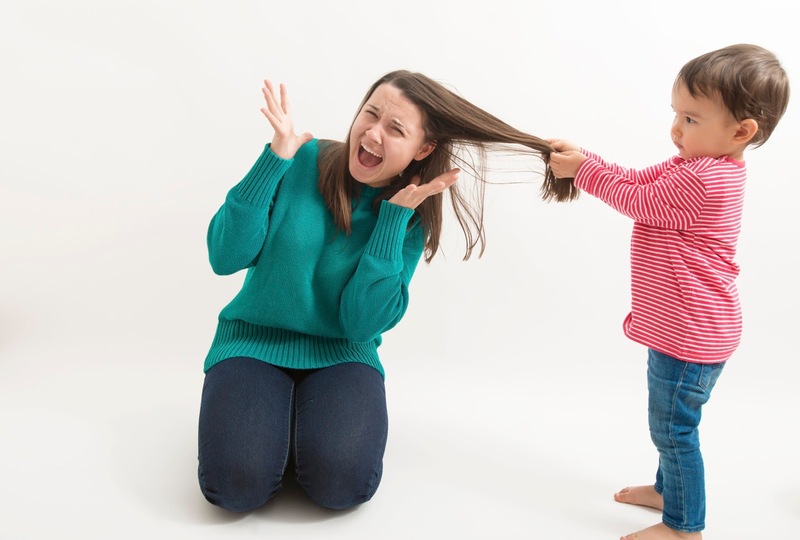 These developmental results fit the idea that provoked aggressive acts are a symptom of toddlers' ongoing lack of self control (and growing wilfulness) whereas their more frequent unprovoked aggression is more related to exploration and attention-seeking, combined with a relative lack of understanding about other people's pain. Unprovoked acts presumably became less frequent from 18-months onwards as the toddlers learned that their aggression hurts others, or as they became more sensitive to other people's distress. Complementing this account, Dahl found that unprovoked aggressive acts were especially likely to elicit negative reactions from parents or siblings, which presumably helped the toddlers learn to refrain from this behaviour. Dahl concluded that his results show "that infants' use of force against others is more diverse than typically assumed", and he said more research on the topic is now needed in other settings and cultures to better understand how young children come to realise that unjustified aggression is wrong. *Note: Audun Dahl prefers not to describe infants' use of force as "aggression" which implies the intent to harm, which he says is "difficult or impossible to assess in infants". I chose to use a mix of descriptive words to avoid repetition, to resonate with readers' everyday experience (parents rarely speak of "acts of force" but they do fret about their children's aggression), and also because Dahl's own analysis actually distinguishes between acts of unprovoked force which were apparently deliberate and those that were "miscalibrated force" - i.e. any harm was accidental.